2004: "Mr. and Mrs. Smith" Jolie and Pitt meet on the set of Doug Liman's "Mr. and Mrs. Smith," where she said they "fell in love." At the time, Pitt was married to Jennifer Aniston and Jolie's divorce from Billy Bob Thornton had been finalized in 2003. March 2005: Jennifer Aniston Files for Divorce During promotional appearances for "Mr. and Mrs. Smith," Jolie and Pitt kept their distance. 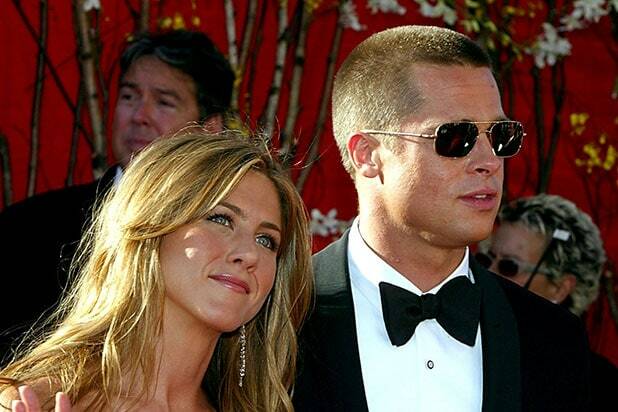 A week later, Aniston filed for divorce following their separation announcement in January. April 2005: Vacation with Maddox Jolie gets photographed on vacation in Kenya with her son, Maddox. June 2005: W Magazine Spread The two actors were featured in a W magazine spread titled "Domestic Bliss," which stirred up controversy given that the photos were taken a few months after Pitt's split from Aniston. July 2005: Jolie Adopts Zahara The actress adopts Zahara from Ethiopia. According to Popsugar, Zahara was first adopted as a single parent but it was later revealed that Pitt filed to legally adopt both Zahara and Maddox and to officially change their last name to Jolie-Pitt. January 2006: Jolie Is Pregnant Jolie confirms she is pregnant with Pitt's first biological child. Shiloh was born in May. December 2006: First Red Carpet The couple walked the red carpet together for the first time as an official couple at the NYC premiere of Jolie's "The Good Shepherd." March 2007: Duo Adopt Pax Jolie and Pitt adopt son Pax from Vietnam. May 2008: Couple Is Expecting Twins At the Cannes Film Festival in May of 2008, it was revealed that the two were expecting twins. July 2008: Knox and Vivienne Are Born The twins Knox and Vivienne were born in Nice, France. The couple and the twins were featured on the August cover of People magazine. 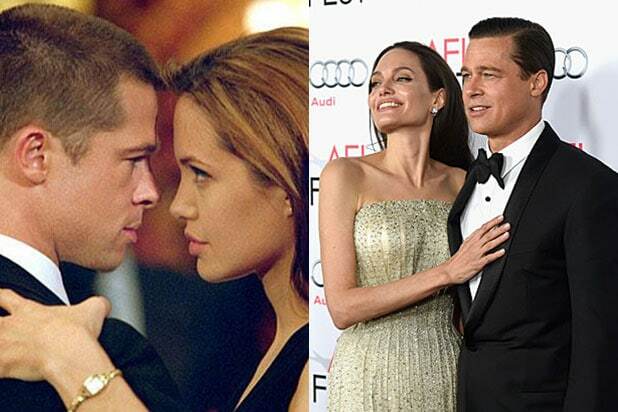 January 2010: Divorce Rumors British tabloid News of the World starts rumors that Pitt and Jolie were divorcing. They sued the paper as the publication declined to retract allegations. They won the lawsuit. November 2010: Johnny Depp Sparks Rumors In an interview with Vanity Fair, Johnny Depp referred to Pitt as Jolie's "husband." 2012: Pitt Proposes The actor proposed to Jolie in 2012 with a custom Robert Procop engagement ring. May 2013: Double Mastectomy Jolie reveals she underwent a preventative double mastectomy after tests showed she had an 87 percent chance of contracting breast cancer. She would later also have her ovaries removed in 2015. August 2014: Couple Secretly Marries The couple held a top-secret wedding at their Chateau Miraval in France. December 2015: "By the Sea" Is Released Jolie and Pitt both starred in the period drama "By the Sea," written and directed by the actress. The film, about a couple in a troubled marriage, received mostly negative reviews.